Responsible Territory for Social Cohesion: territory in which all the players, not least citizens themselves, co-operate and are committed to meeting expectations regarding well-being and social cohesion. Recent years have brought a growing realisation that social cohesion is an essential condition for democratic security and sustainable development. Divided and unequal societies are not only unjust but also cannot guarantee stability in the long term. It is now increasingly recognised that governments need to aim not only at making the economy work but also at making society work; economic development without accompanying social development will result in serious problems sooner or later. At present, many people are excluded in practice from the benefits of the social and economic progress to which the Council of Europe is committed by its founding Statute. Since its Second Summit of Heads of State and Government in 1997, the Council of Europe identified social cohesion as "one of the foremost needs of the wider Europe and ... essential complement to the promotion of human rights and dignity". 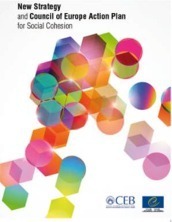 Social cohesion must be firmly based on human rights (as codified in the European Convention on Human Rights and the Revised European Social Charter) as well as an acceptance of shared responsibility for the welfare of all members of society, especially those who are at risk of poverty or exclusion. carrying out research and analytical work in support of the activities included in the Strategy. The Summit of Heads of states and Governments held in Warsaw in 2005, decided the creation of a High Level Task Force which would renew the social cohesion strategy, according to the 21st century challenges namely posed by ageing and other social and economic developments. "Building a secure future for all"
"Investing in social cohesion – investing in stability and the well-being of society"